I’ve said it before, and I’ll say it again: We are not an theme park family. Give us a museum, a historical site, or a ski trail and we’re off to the races. But theme parks? Not so much. That isn’t to say that we never go to theme parks. I may have even written about a theme park (or two or three) on this site. But we’ve never planned an entire trip around a theme park visit until now. 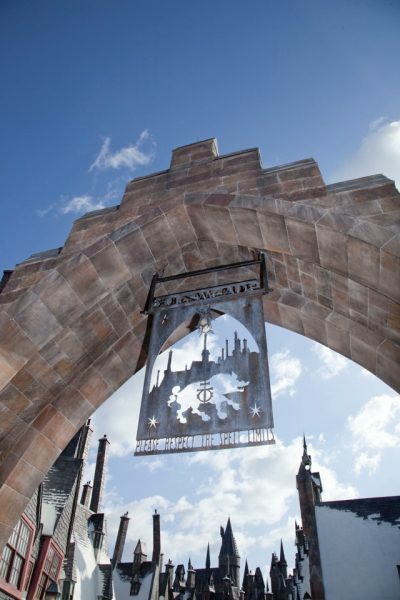 That’s because the first park that ever appealed to us enough to get us on a plane is Universal Orlando Resort, home to the Wizarding World of Harry Potter. I’ve actually been to Orlando many times – in fact, way back in that faraway time before I had children and worked full time I had a direct report who worked out of Orlando. I was located in Delaware, so that meant monthly early morning flights from Philadelphia to Florida where often it felt like I was the only adult on a plane that could have been fueled by kid excitement instead of jet fuel. Once I had children of my own, it might seem like Orlando was a logical place for us to visit. But I’ve always been about following our interests and passions when it came to our travel and since my kids aren’t huge fans of rides and neither am I, it never made the list. We also don’t especially like heat or humidity and our winter vacations are mostly taken up with skiing. So it was just never a priority. c. Visit Diagon Alley and Hogwarts. My younger son Teddy was especially excited about all of this, although even though his (much cooler) 14-year-old brother Tommy wouldn’t necessarily say so, he would periodically make a casual mention of a friend who had gone to Universal Orlando Resort during a school holiday. It was obviously something they both wanted to do and when I was honest with myself I realized that I did too. So Matt and I decided that for Teddy’s 11th birthday last March we would give him this trip as his gift. And before you could say wingarium leviosa we had plane tickets and were making a plan. We would theme park. I mean, we would be theme parkers. #Teamthemepark. Am I getting it right? And when, in preparation for this fall weekend, we started revisiting the books on CD during our long road trip 0ver the summer, I realized that like Teddy, Harry was 11 when he first went to Hogwarts. This made the whole trip seem even more serendipitous. We’re fortunate enough to be hosted by Universal Orlando Resort. We will be staying as their guests at their newest onsite hotel, the Loews Sapphire Falls. They’ve also given us two-day passes for both of the theme parks at the resort. So that eliminated some of my planning and decisions about where to stay or what type of tickets to purchase. The early wizard catches the goblin. Since we’re staying at one of the onsite hotels, we will have early admission to the parks (they open at 9; we can get in at 8, although sometimes the park staff will let guests in as early as 7:30). Everything I’ve read said that getting to the resort early is a very good idea, especially if you’re there for the Harry Potter experience, where the lines can be fierce later in the day. I’ve already alerted my late-sleeping teen and tween that this will not be a lazy-morning vacation. I’m planning to have us there at 7:30 both days. We’ll probably start in Diagon Alley one day and Hogsmeade the next. 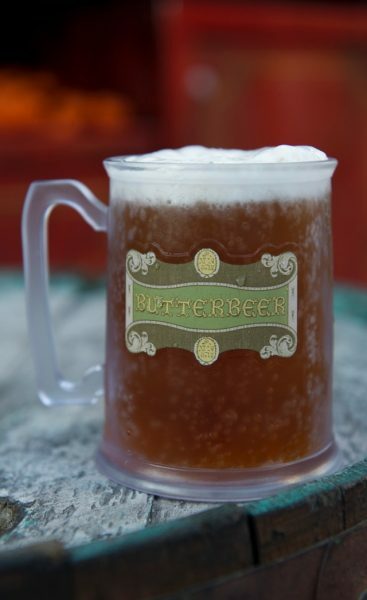 We need to save room for butterbeer. There are no fewer than four different versions of this magical treat including soft-serve ice cream. You can bet I’m planning to sample them all. I’m a little nervous about the rides. I’m not someone who likes scary fast rides and I also get motion sick. Yet I’m pretty determined to go on both the Harry Potter and the Forbidden Journey and the Harry Potter and the Escape from Gringotts rides because everything I’ve seen about them says they are awesome if nausea inducing. Based on what I read I’m going to be packing some Dramamine for myself. We’ll see if Teddy can screw up his courage to ride with me. We will be springing for an interactive wand. I’m already prepared for the $50 price tag to get a wand that will “cast spells” throughout the park. Each one comes with a map telling your wizard where he or she can make magic happen. They may not have *real* magic, but there is an app. I’ve already downloaded the Universal Orlando Resort App. Not only does it have interactive maps that indicate where all the bathrooms are and lists of dining options, it will tell me what rides have lines and let me set an alert to tell me when the crowds have diminished. When we feel like skipping school, there’s lots to do besides Hogwarts. Although our main reason for this trip is to spend as much time as possible soaking up the magical Harry Potter atmosphere, we’re all also excited about other things at both of Universal theme parks including a a 3-D Minions ride (other than the Harry Potter series, Depsicable Me is Teddy’s favorite movie) and rides that will appeal to Tommy too, like The Simpsons Ride and a Men in Black Alien Attack – I can’t wait to zap some aliens. I’ll admit also that this trip is a bit of a challenge for me because although I pretty much always make a plan when we travel, I like to keep many aspects loose, especially in a new place. So while I’m thinking a lot about our days in the park I’ve made the decision that I’m not going to make dinner or show reservations, possibly at all, but definitely not until we’re there. I don’t want to be locked into eating at specific times since I don’t know how long we’ll be at the park each day or when we’ll have lunch. I’m counting on the fact that we’re traveling off-season and also that my kids are old enough have a snack at the bar and then to eat late if there’s a wait. I’ll definitely let you know how this strategy works. For lots and lots of great tips about visiting Universal Orlando Resort, be sure to check out my Pinterest board. And keep your eye on my Facebook page and Instagram and Twitter feeds to follow along while we are on on the trip. And once we’re back I’ll be writing about it here and also over at the gorgeous Ciao Bambino website. 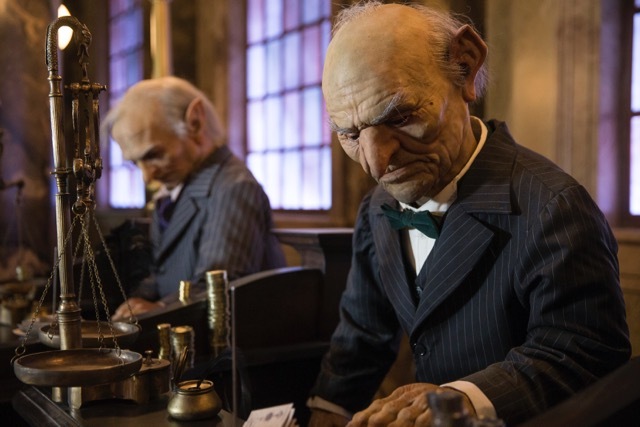 Although Universal Orlando Resort is covering some of the costs of our vacation, you can count on me, as always, to offer only my full and honest opinions about our experiences. And now, I’m off to practice a bit of wand waving and potion making – I want to be sure and make a good impression. All photos courtesy of Universal Orlando Resort. It’s a magical experience! A few tips: the British food is so good, make sure to enjoy a meal at the Leaky Cauldron and the ambience in the Three Broomsticks. Ride the Hogwarts train between the parks a couple different times to see the different “shows” and enjoy apparating from one direction. Come in costume or buy robes there, so fun to be all dressed up. The performances of the Hogwarts Choir and Celestina Warbeck aren’t on a posted schedule, so you have to ask an employee about those times (and if you’re lucky, take a photo of that with your phone to refer to). Do the Shutterbuttons photo fun. Send a letter from the Hogsmeade post office. Come back in the evening when it’s less crowded and magical in the dark. The only place to view the Hogwarts Castle with the lake is from the back of the Three Broomsticks patio. And visit the women’s restroom in Hogsmeade to hear Moaning Myrtle when you flush! What a magical itinerary Mara. 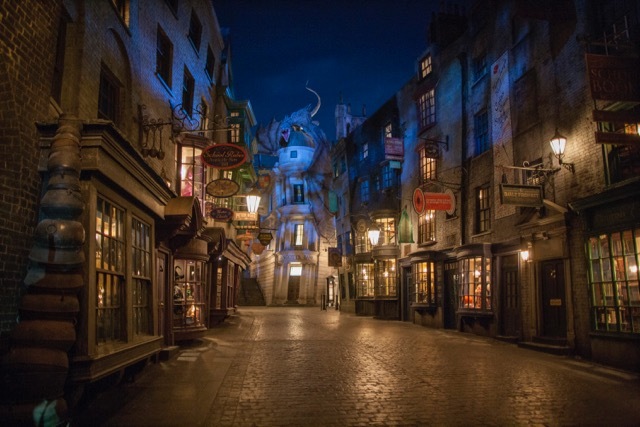 Thanks for sharing this Universal Orlando itinerary of yours. I’m having fun reading your post. Happy Halloween.